The second edition of the annual stand-up show D.C. Comedy Festival will start on April 9 and end on April 14. 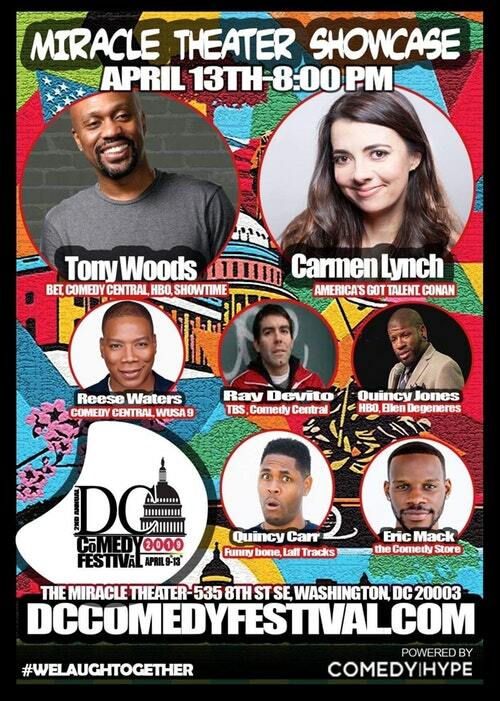 Organized by a group of comedians based in the Washington metropolitan area, the festival aims to bring attention to the comedy community in D.C. The event will kick off with a D.C. Opening Ceremony Showcase on April 9, at 7:30 p.m. at the Dupont Underground. The ceremony will be hosted by Franqi French and feature 11 comedians including Tony Woods, Fernando Madrigal, Elizabeth Norman, and Anthony Oakes. This year’s festival will also travel to several venues across the D.C. area such as D.C. Drafthouse Comedy Theater, Miracle Theatre, D.C. Comedy Loft, and Dupont Underground. Other venues for festival performances include gay-owned Red Bear Brewing Company, Ivy City Smokehouse, and the Dew Drop Inn. “From residents of the D.C. Area or traveling tourists that are looking for things to do, D.C. Comedy Festival has events and shows for you. It’s easy to ride the Metro or hop on a bike and explore all that the nation’s capital has to offer. So, if you’re planning to escape your everyday stress or you want to enjoy your leisure time between the 9th and 14th of April 2019, then this annual D.C. Comedy Festival is the right choice,” according to the festival’s website. In its second year, the festival will present about 20 events and introduce the public to the D.C. comedy scene. Prior to the event, the organizers held a public search to identify the top 100 comedians, Improv Groups and Sketch Comedy Groups who are then invited to come to the D.C. area and perform at the annual festival.